The halysitids are a group of extinct, Paleozoic-aged colonial corals. They are readily identifiable - their corallites are linked end-to-end in a distinctive pattern resembling chains (hence the common name “chain corals”). 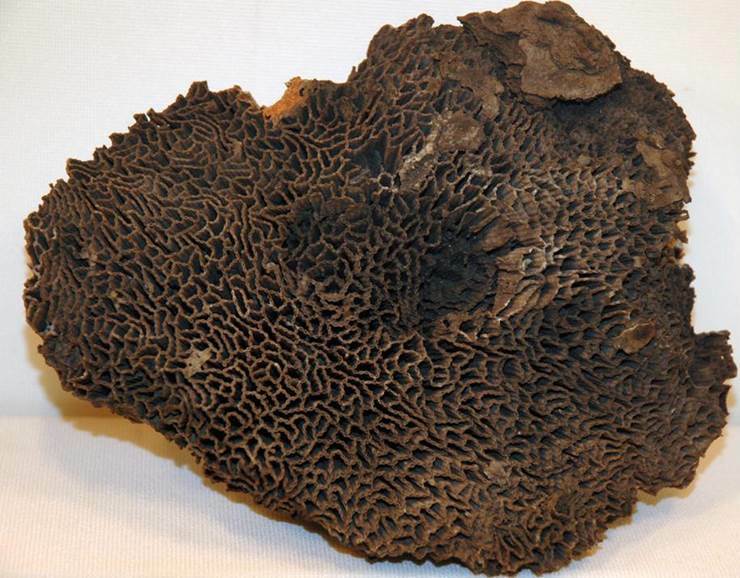 Halysitids are one of the several families of Paleozoic tabulate corals. They were an important reef-building component in the Silurian throughout the world. They occur in shallow-water marine carbonate facies. Halysites louisvillensis (apparent junior synonym of Halysites nitidus) from the Louisville Limestone (upper Middle Silurian to lower Upper Silurian) of Jefferson County, Kentucky, USA. This colony has been silicified - the original skeleton was composed of calcium carbonate (CaCO3). Falls of the Ohio State Park collection, Clarksville, Indiana, USA.